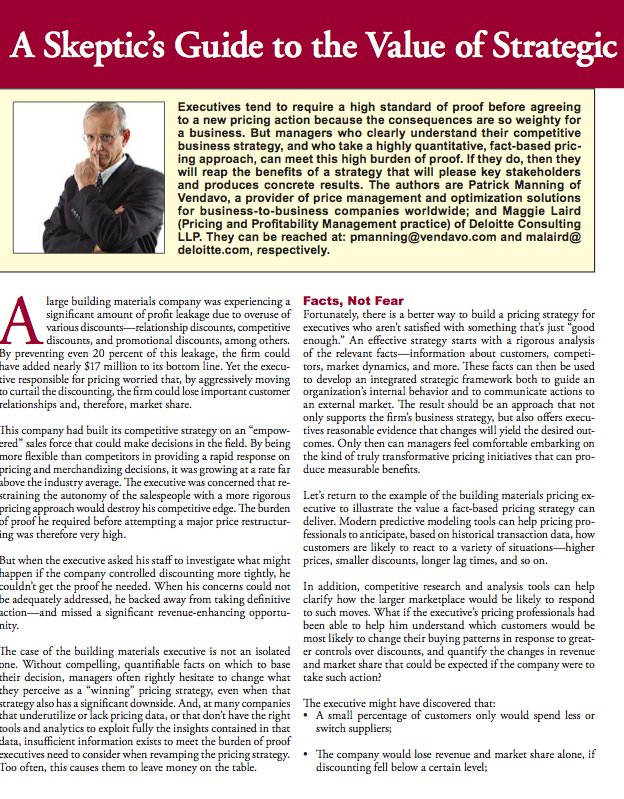 Since the consequences are substantial for a business, executives tend to require a high standard of proof before agreeing to a new pricing action. However, managers who clearly understand their competitive business strategy, and who take a highly quantitative, fact-based pricing approach, can meet this high burden or proof. Download this article to learn how you can reap the benefits of a strategy that will both please key stakeholders and produce concrete results.